St. Bernard High School, which celebrated its 60th Anniversary in 2017, is an Archdiocese Catholic High School serving students from Torrance, Inglewood, Westchester, El Segundo, Manhattan Beach and the Greater South Bay.In beautiful Playa del Rey, St. Bernard athletics compete in the Del Rey League with schools such as Juniper Serra, St. Monica, Cantwell Sacred Heart and St. Paul High School..
St. Bernard was born of a noble Burgundian family at Fontaines, France, in 1090. Undecided as to what he should do with his life, young Bernard considered the religious life, but was urged by friends to pursue a life of leisure. His family wished to see him further his studies. Finally, in 1112, Bernard had reached his decision and joined the Benedictine Abbey at Citeaux. The tenderness and piety with which he wrote of the glories of the Blessed Mother are found in his prayers, sermons, and writings. 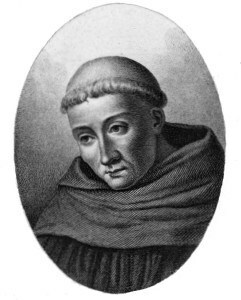 Bernard died August 20, 1153, at Clairvaux and was canonized in 1774. He was named a doctor of the church in 1830. St. Bernard’s feast day is August 20. 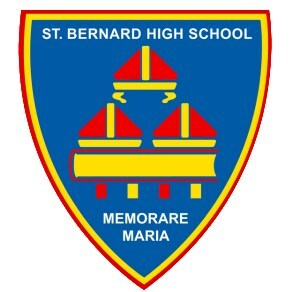 The school crest, found in the main entrance, symbolizes the outstanding attributes of the school patron, St. Bernard. The miters symbolize his position as Abbot, and recall his sanctity. The book signifies his vast knowledge, love of learning and his valuable contribution to the theology of the Church. 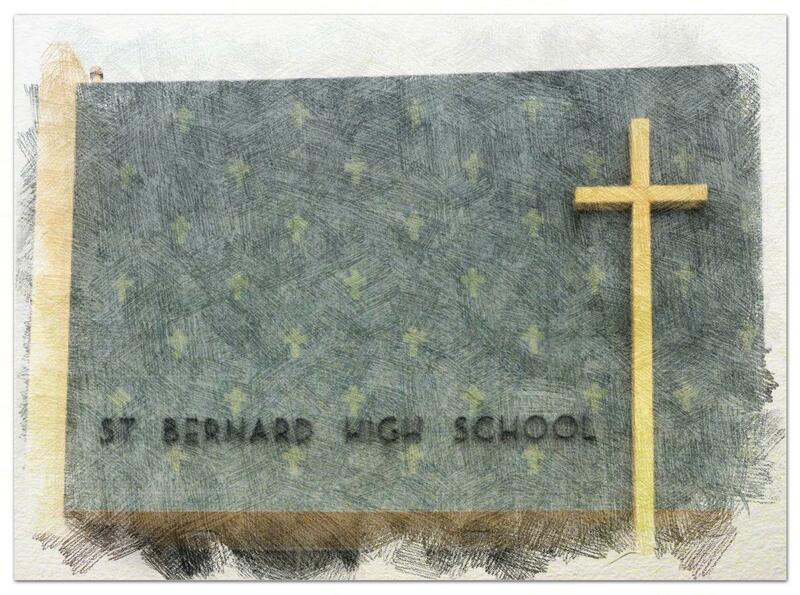 It has been a tradition with students at St. Bernard High School to hold the crest in high esteem and, therefore, never to walk on or otherwise deface this symbol of our school. ‘Neath gold, white, and blue. Hail, all hail to you!